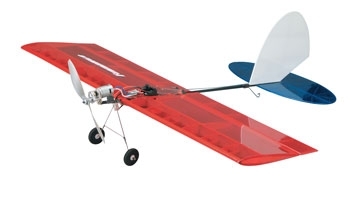 This is an Aerobatic Funfly-Style Park Flyer Fundango Aircraft. Designed for experienced advanced pilots. time to run to the flying field? Great Planes has the answer for you! Aeronautics) for a club nearest you. workmanship at date of purchase. landing gear, all necessary hardware, aluminum tube, (2) 1½"
foam wheels, CA hinges, illustrated instructions, rolled plans. Planes offers a Micro Receiver and Speed Control in High Band. themselves to the brand of transmitter they are used with. which includes motor, gearbox, prop adapter, APC 10x7 Slo-Fly prop. Electronic Speed Control: 20A w/BEC such as GPMM2025. Charger with GPMM3108 adapter for battery. ESC: Follow mfgr's instructions to arm/set range. CG: 2-7/8" to 3-9/16" aft of wing LE, with 3-1/16" ideal. receivers. Channel selection is left to the modelers preference. and belly landing and not using the optional gear. Improving the performance and preventing damage to your system. also dramatically increase the motor's performance. 3) Balance the prop and centering the prop are CRITICAL. Being off even 1/16"
please mail us your motor/gearbox combination for warranty consideration.